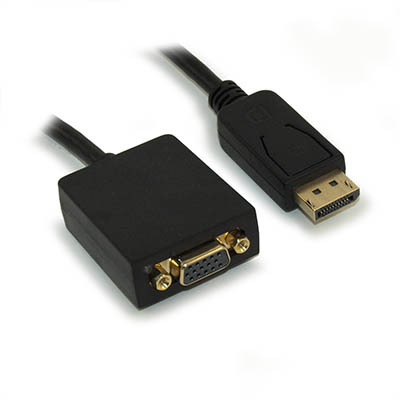 Connect your Display port SOURCE (such as a computer) to your VGA Display/Monitor. 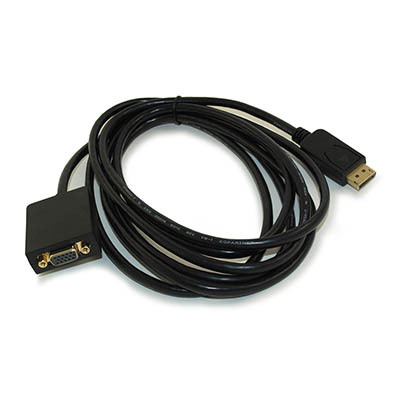 Cable has an embedded integrated circuit (IC) that converts the DIGITAL signal to analog VGA. Tech Note: This cable is a UNI-DIRECTIONAL cable! It will NOT work in reverse. Your source MUST be DisplayPort, and your monitor MUST have a VGA connection.